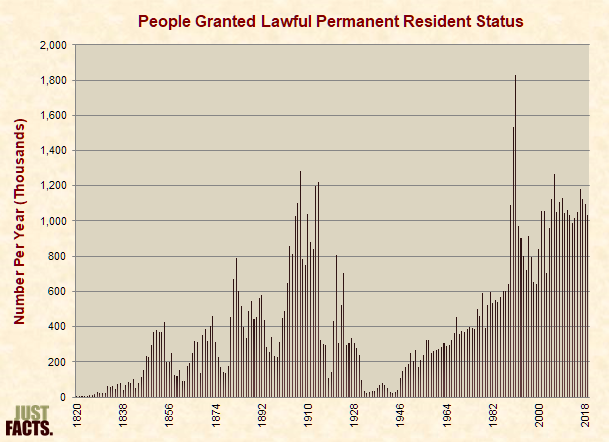 * Under this law, the U.S. government granted citizenship to 1.1 million people. the amnesty and citizenship applications for agricultural workers were rife with fraud and allowed ineligible immigrants to obtain amnesty and citizenship. 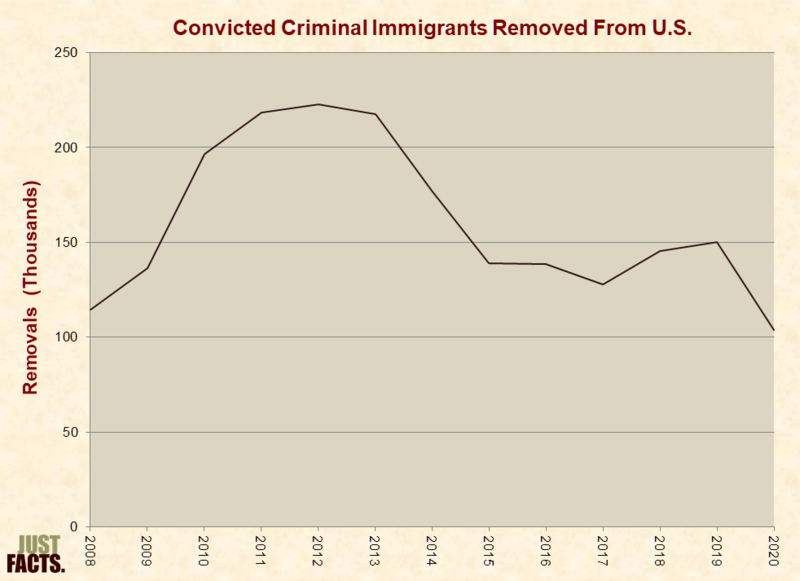 the INS did not perform a complete criminal history background check for 18% of the people who were granted citizenship. the INS did not properly enforce the English-language requirement for U.S. citizenship. the INS gave superficially trained, inexperienced employees five minutes to conduct citizenship interviews. During these interviews, the employees had to determine if applicants had good moral character, had accurately answered all of the questions on their applications, and met other legal qualifications for citizenship. NOTE: Some of the studies above from different organizations were authored by some of the same people. 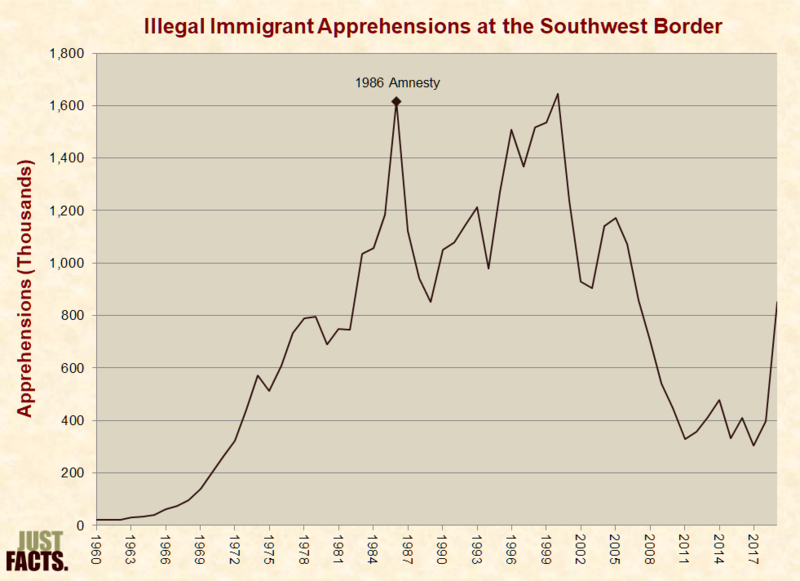 * In 1994, Congress and Democratic President Bill Clinton passed an amnesty that gave certain illegal immigrants a temporary pathway to legalize without leaving the United States. 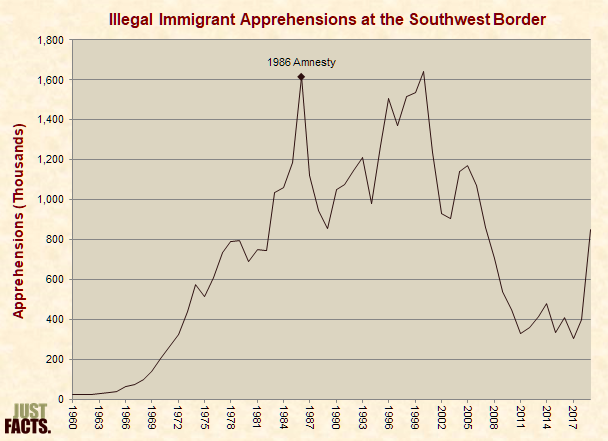 * Congress and Clinton extended the 1994 amnesty five times in 1997, 1998, and 2000.
helping legal immigrants to become U.S. citizens. making E-Verify mandatory to ensure that illegal immigrants dont use fraudulent documents to obtain employment. immediate dismantling of all border walls. * This directive, called Deferred Action for Childhood Arrivals or DACA, was applicable to 1.2 million people. 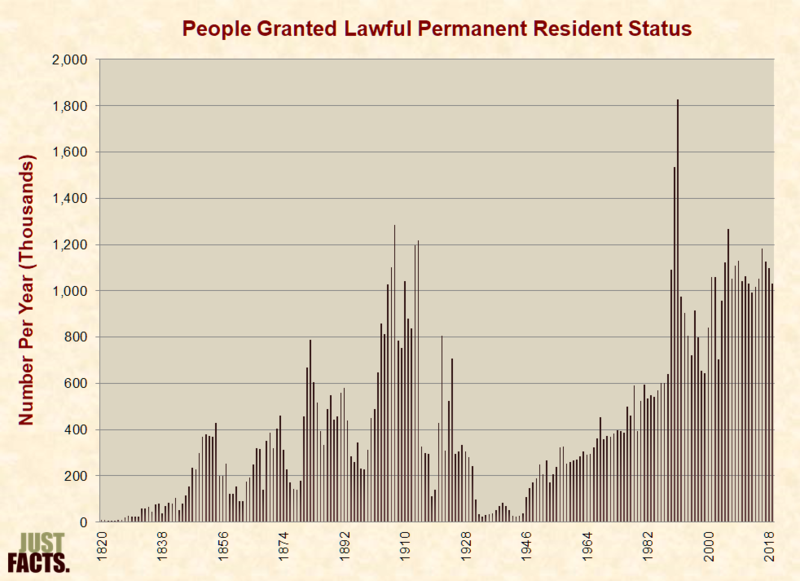 At least 636,000 illegal immigrants applied for and were approved for it. * Beyond protection from deportation, this directive also gave these immigrants Social Security numbers, authorization to legally work in the U.S, and eligibility for various government social programs. remove the age limit of 31 years old. extend the latest arrival date from 2007 to 2010.
allow immigrants to renew (in 3-year increments) their relief from deportation and ability to work. the Obama administration had placed 85% of these childrenwho were mostly male and over the age of 14with their relatives in the United States. 87% of people admitted to the U.S. under this policy over the past five years had not been ordered to leave the United States. In late May, the U.S. Border Patrol interviewed unaccompanied children (UAC) and migrant families apprehended in the Rio Grande Valley. 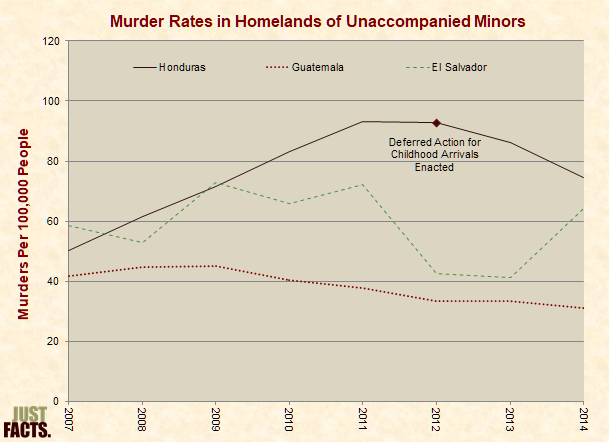 Of the 230 total migrants interviewed, 219 cited the primary reason for migrating to the United States was the perception of U.S. immigration laws granting free passes or permisos to UAC and adult female OTMs [other than Mexicans] traveling with minors. Permisos are the Notice to Appear documents issued to undocumented aliens, when they are released on their own recognizance, pending a hearing before a U.S. immigration judge. Migrants indicated that knowledge of permisos was widespread across Central America due to word of mouth, local, and international media messagingprompting many to depart for the United States within 30 days of becoming aware of these perceived benefits, according to the same reporting. U.S. Customs and Border Protection (CBP) also notes that a large number of migrants interviewed claimed family members in the United States encouraged their travel because the U.S. government would cease issuing permisos after June 2014. Migrants cited Univision, Primer Impacto, Al Rojo Vivo and several Honduran television news outlets for helping shape their perception of U.S. immigration policy. * In June of 2014, Democratic Congressman Luis Gutierrez, a vocal supporter of amnesty for unauthorized immigrants, declared there was no possibility that Congress would pass an amnesty during Obamas presidency. He then called on Obama to act on his own. required federal agencies to issue them work authorizations and Social Security numbers. required Texas and possibly other states to issue them drivers licenses. * In June of 2016, the Supreme Court deadlocked on taking up this case, which left the appeals court ruling in place. 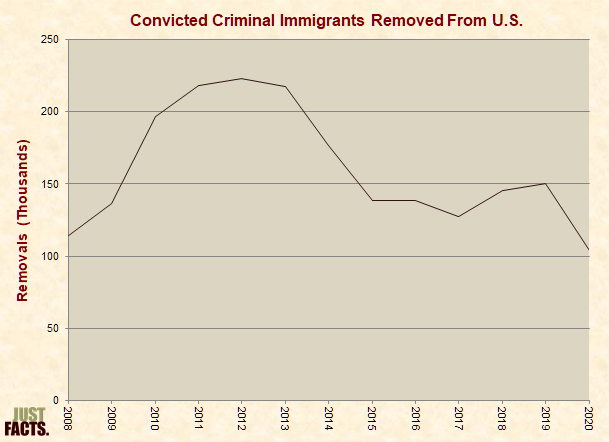 * For additional facts and context about Obamas actions on immigration and crime, see the crime and politics section of this research. 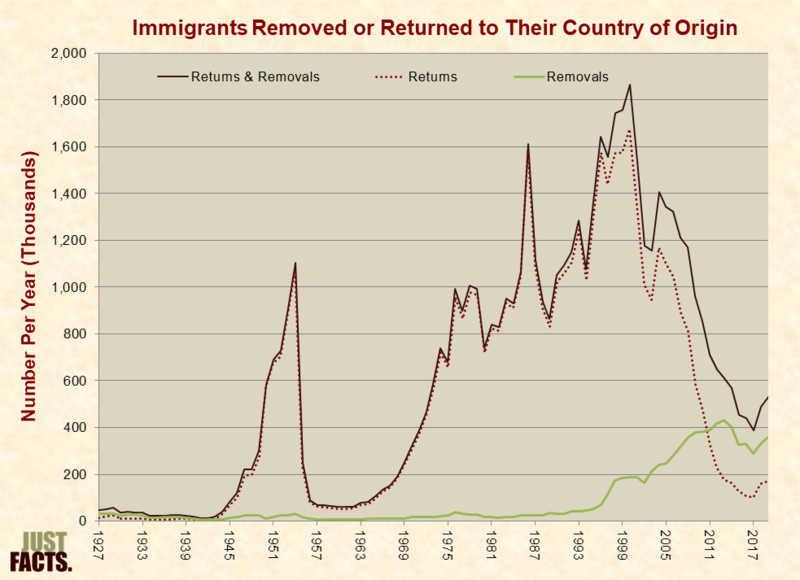 has deported more people than any other presidents administration in history. 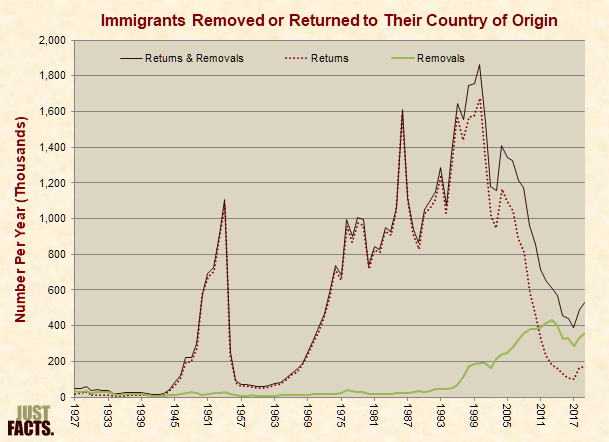 In fact, they have deported more than the sum of all the presidents of the 20th century. NOTE: More facts about Trump will be published as he takes actions and as the outcomes of these actions become clear. Check out these numbers of illegal aliens following the above header. They're a lot bigger than you hear from the MSM.. The page linked to is HUGE, and contains a massive amount of data, even the footnotes are mind boggling! "Since the passing of the Immigration and Reform Control Act (IRCA), 6 million illegal aliens have received amnesty in the United States. The IRCA Amnesty was supposed to "wipe the slate clean" and instead it's lead to the current situation of 12-20 million illegal aliens living in the country. Why did you lie yesterday and say Reagan granted asylum to 30 million? GI & I say 25M not 30. Can't reply in 200 character total including quote, impossible. You just always seem to need to exaggerate things. I think you would get more respect if you just said it like it is and not make stuff up. Because you are on the right side for the most part.